ESMA cites bad data but gives no further details on when the regime will be implemented for derivatives, other than it will be in 2020 at the latest. 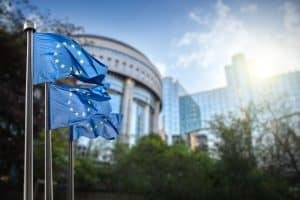 The systematic internaliser (SI) regime for derivatives under MiFID II in Europe has been postponed by the EU markets regulator, marking the second delay to implementation since MiFID II came into force in January last year. An updated action plan from the European Securities and Markets Authority (ESMA) said that the publication of data for SI calculations would not occur as planned on 1 February this year due to incomplete and inadequate data. The regulator gave no further details on when the calculations would be published, other than stating it would in 2020 at the latest. MiFID II’s SI regime requires investment firms to assess whether they are SIs for various assets on a quarterly basis, based on data from the prior six months of activity. If firms exceed thresholds from the calculations, they are considered an SI under MiFID II and have to fulfil SI obligations. The new delay applies to derivatives, exchange-traded commodities (ETCs), exchange-traded notes (ETNs), security futures products (SFPs), securitised derivatives and emission allowances. ESMA confirmed that firms no longer need to carry out SI assessments for derivatives until 2020. The derivatives SI calculations were firstly due to be published on 1 August last year, but for similar concerns around data, ESMA was forced to delay the publication in July 2018 until February this year. If the data had been published as planned on 1 February, firms would have had to comply with the SI requirements from 1 March. Data has proven to be a major hurdle in the implementation of MiFID II across Europe. Just one week after the regulation was introduced on 3 January 2018, ESMA was forced to delay the dark trading rules due to incomplete and inadequate data which failed to provide meaningful calculations of the double volume caps. The double volumes caps were eventually enforced in March 2018,with hundreds of stocks affected by the restrictions.